Olive Branch guard Myah Taylor will wrap up her recruitment prior to the start of her junior season. The 5-foot-7 Dandy Dozen selection has nine in-home visits scheduled from Sept. 9-30. 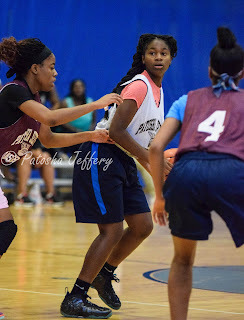 She will meet with coaches from Mississippi State, Ole Miss, Southern Miss, James Madison, Tulane, Arizona, Wake Forest, Louisiana Tech and Memphis. Taylor will then make her college decision in a ceremony at Olive Branch on Oct. 14. The reigning Mississippi Gatorade Player of the Year is ranked No. 53 in the class of 2017 according to ESPN. The four-star point guard led the Conquistadors to a 31-1 record and back-to-back appearances in the Class 6A state championship game. She averaged 18.2 points, eight assists and five steals per game during the 2014-15 season. This Saturday, August 29, the 5th Annual Fall Exposure League will move into an 8 team tournament format! Last week, the players had an opportunity to use Exhibition Week to get acquainted with teammates, adjust to being back on the court and adjust to the league rules. Everyone's record has been reset to 0-0. Through the duration of the league, we will find out who will be crowned the 2015 Champions. All games are at Ridgeway Baptist Church. Admission is $5. Notre Dame is a balanced squad of scorers, rebounders and distributors. They are an unselfish team that shares the ball with each other. Watch List: High Energy Ashtyn Baker did not disappoint in her debut. She is fast, fun to watch and a fan favorite. 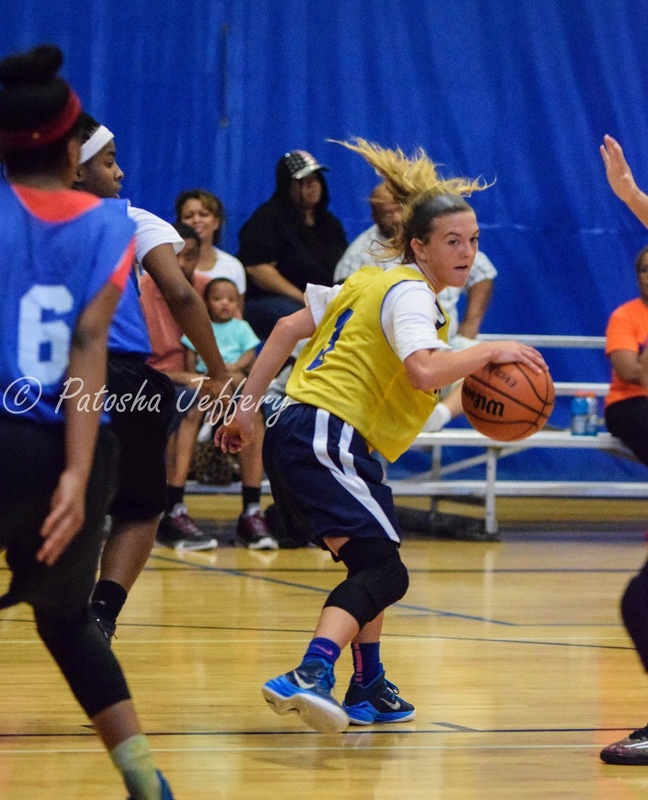 Hustler and 3 point shooter Callie Stubbs has grown so much as a player. She has a knack for getting loose balls and long rebounds. Florida State is an aggressive, athletic group. They play hard nose ball and will be looking for revenge after last week's lost. Watch List: I have really enjoyed the growth of Mahogany Vaught. Off the court she is so low key and quiet and she tends to play that way. Since the summer, I have noticed an aggressive beast coming out of her and it is really elevating her game. Baylor is young and unfazed by upperclassmen. They will eat you up in transition if you aren't aware of their quickness. Watch List: Last week's leading scorer Taylor Lattimore came to play. I have been waiting on this level of performance from her since the school season. In transition, she can catch you off guard when she kicks in her quickness and elevation. Tennessee is young also and can probably match up with Baylor 's quickness. They also have a means to counter Baylor's quickness -- their aggressive post players. Watch List: What in the world did Lindsey Vaughn do this summer? She has returned to the league with one of the sweetest strokes. And everyone loves her 'Love and Basketball' pose after her shots!!!! UCONN is probably the most entertaining team to watch. It is showtime when they are on the court. Watch List: EVERYBODY! Maryland has talent, size and length. They just could not get it going last week. But don't count them out. Watch List: Tamia Jones is a very unique player. 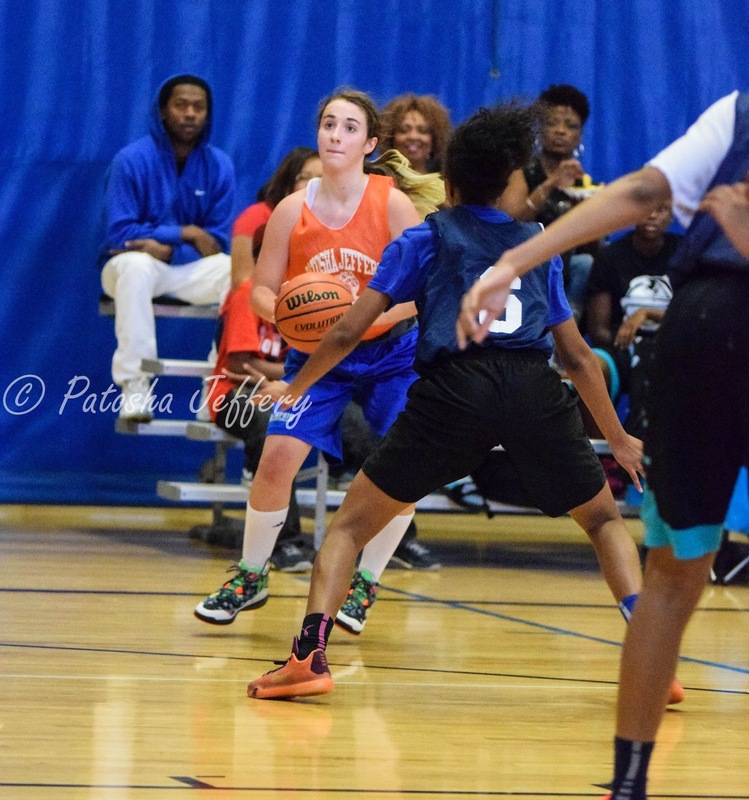 She has the length, agility and athletic abilities to play the guard and post positions. She can block shots, get rebounds, and knock down short jumpers. Last week, I noticed a new skill to her game-- quick hands. If you are lazy with the ball, she is getting it. South Carolina is probably the most composed team. I don't think anyone on their team shows any emotion on the court. They just play. Watch List: Shadae' Hudson is a mysterious player to me. I haven't yet found a description for her game. She stacks stats but she does it in such a quiet fashion. Dayton is the three point shooting squad. When their shots start falling, watch out. Watch List: Forget the regular 3 point line. Kerrigan Braxton is pulling from the NBA line or the time line. It's that time of year again. The 5th Annual Fall Exposure League is here! Kicks off Saturday, August 22. All games at Ridgeway Baptist Church. Admission $5. Notre Dame's Ashtyn Baker will be making her debut in the League. 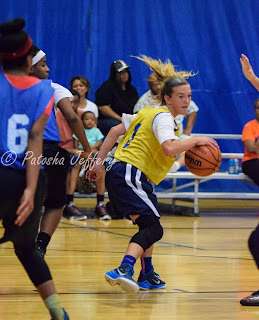 She is a high energy PG with quite a variety of moves that she uses to get to the basket to score. Although she is small in statue, she does not mind taking contact. Ashtyn will have a nice supporting cast of other Private School players including 3 point shooting Best of Preps team member, Bionka Massie. Compared to Notre Dame, Dayton is a rather young squad. Ninth grader Kerrigan Braxton made a name for herself in last year's league as a deep 3 point shooter. 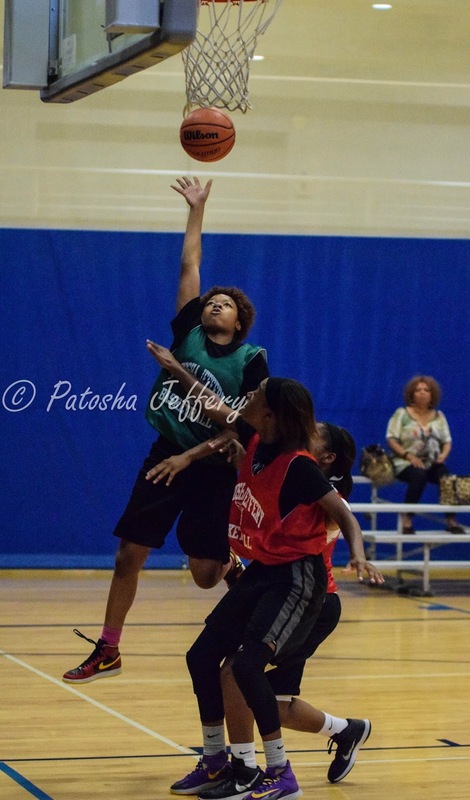 Middle schooler Zipporah Davis also displayed that she is a tough and aggressive defender. This game will be a battle of height vs speed. 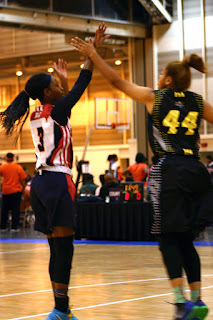 Maryland's Tamia Jones and Zakyia Head stands at 5'10 and has the athletic abilities to play the guard and forward positions. 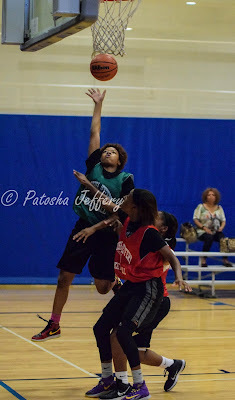 Jayla Hemingway is 5'10 and will be all over the court on the defensive and offensive end. Baylor will be lead by the dynamic duo of Tyenisha Metcalf and Taylor Lattimore. These two can get up the court quickly and athletically to score. In last year's league, UCONN was the team that no one seemed to be able to beat, until they ran upon a young Memphis squad. UConn is made up of some of the same players from last year including vocal leader and defender Gabrielle Morgan, show time Zaire Hicks, and aggressive Emily Evans. Tennessee is young compared to the veteran UConn team. But believe me, they will not play young. They will be lead by last year's league leading scorer and rebounder Brittni Moore, distributing Alexis Taylor, 3 point shooting Jada Taylor and aggressive Destiny Shaw. I like to call this game the battle of the Point Guards. Florida State's Myah Taylor had a breakout season last year at Olive Branch as a 10th grader. She received tons of recognition and awards including MS Gatorade Player of the Year and Best of Preps Player of the Year. She is a distributing shake-n-bake type point guard. South Carolina's Gazmyne Herndon is another shake-n-bake point guard. She plays so laid back and in such a smooth fashion. I like to call her the smooth operator. Patosha Jeffery talks about why she started training, deciding to change her training sessions and why developing both hands is important. According to the Delta Report News, Olive Branch's Myah Taylor has announced her list of 10 schools she is considering signing with. The highly rated 4 star player Myah Taylor has released her top ten choices for where she wants to play her college basketball. A member of the 2017 graduating class, the 5'7" Point Guard holds rankings in nearly every major regional and national scouting service, including; *Delta Report at #5; All Star Girls' Basketball Report at #44, and Collegiate Girls Basketball Report at #42.